This designer tote bag features many popular verses on both sides. Makes a great gift. You’ll want one for your own use to carry your Bible and study materials. 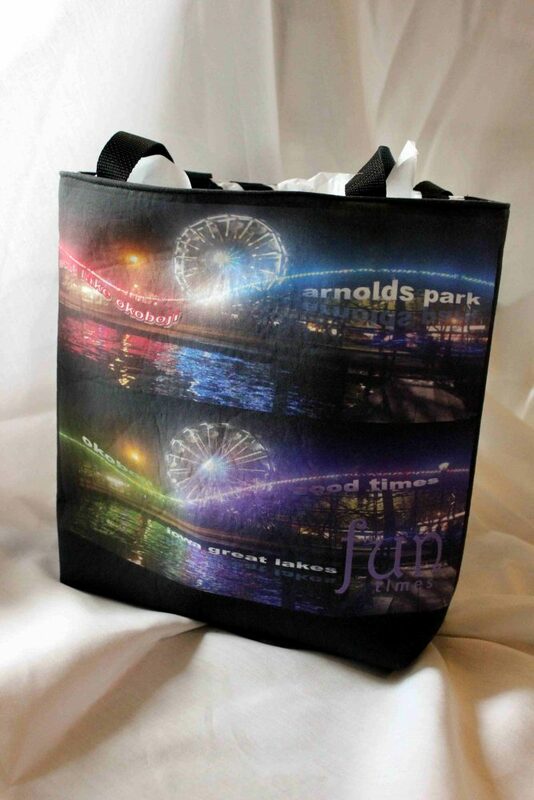 The bag is also available in a similar design with the BSF (Bible Study Fellowship) lettering. 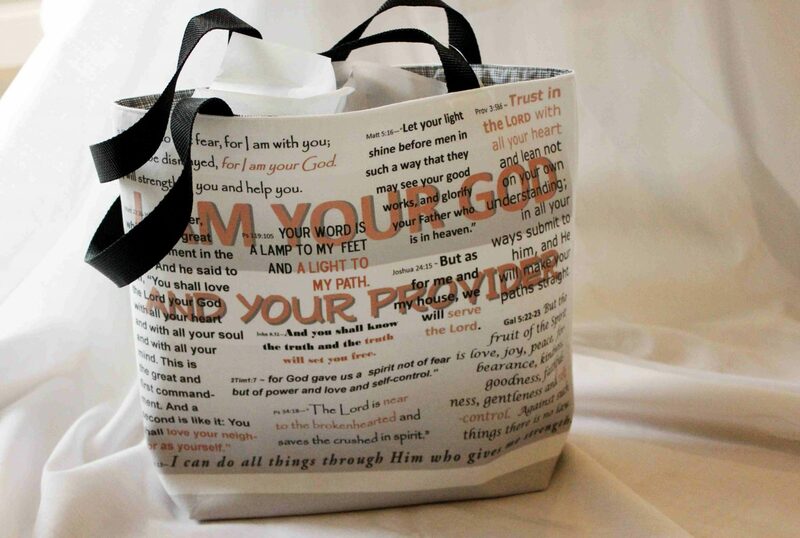 This designer tote bag includes a variety of popular verses and is perfect for carrying your Bible and study materials and just for everyday use. Made of 100% high quality cotton and handcrafted individually in Iowa. To make this bag even more personal, you can substitute 1, 2, or 3 of your own verses. Just email us and we will work out the details. SAILBOATS DESIGNER TOTE BAG – SALE! YEAH NO STOCKINGS DESIGNER TOTE BAG – SALE!